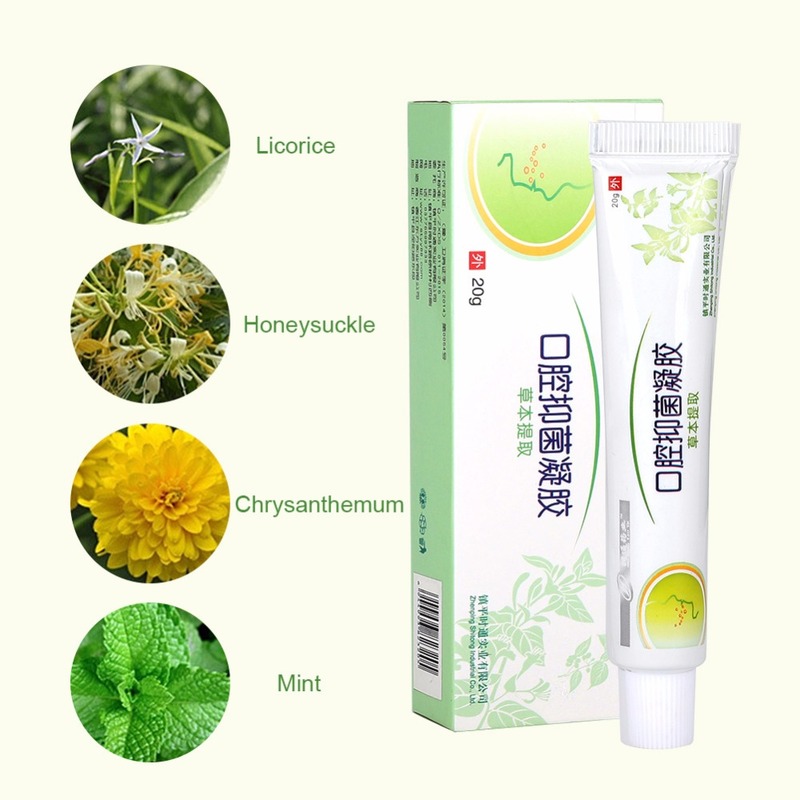 This Oral Ulcer Gel is made of natural ingredients, like Licorice, Honeysuckle, Chrysanthemum and Mint. 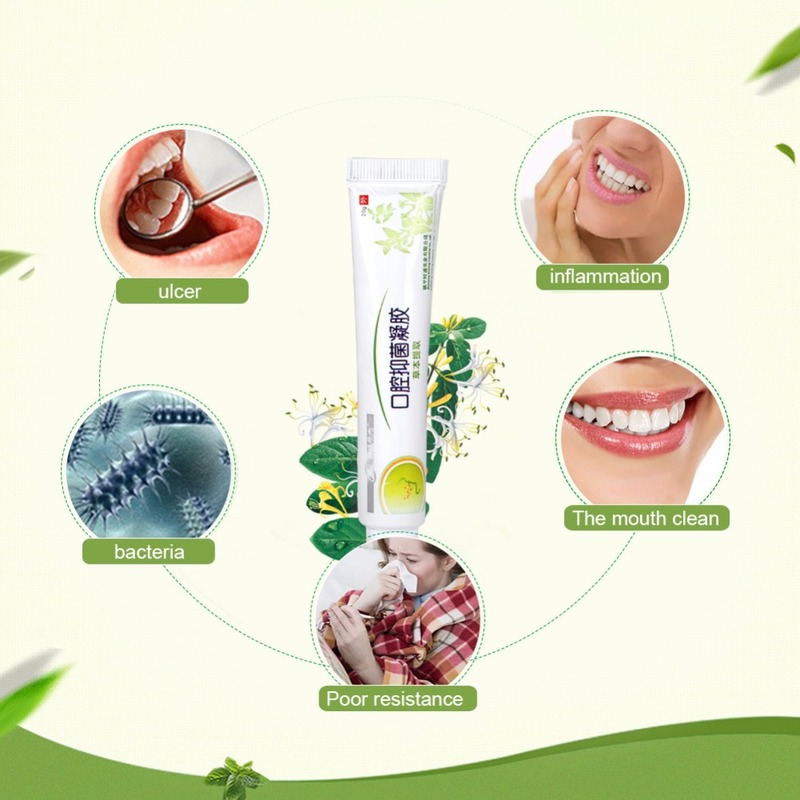 Safe and non-toxin, natural formula, long-lasting effects, make your mouth feel fresh and healthy. Natural ingredient, like Licorice, Honeysuckle, Chrysanthemum and Mint. Aiming at ulcer, inflammation, bacteria and poor resistance. Mild formula, no stimulation and harm to your health. 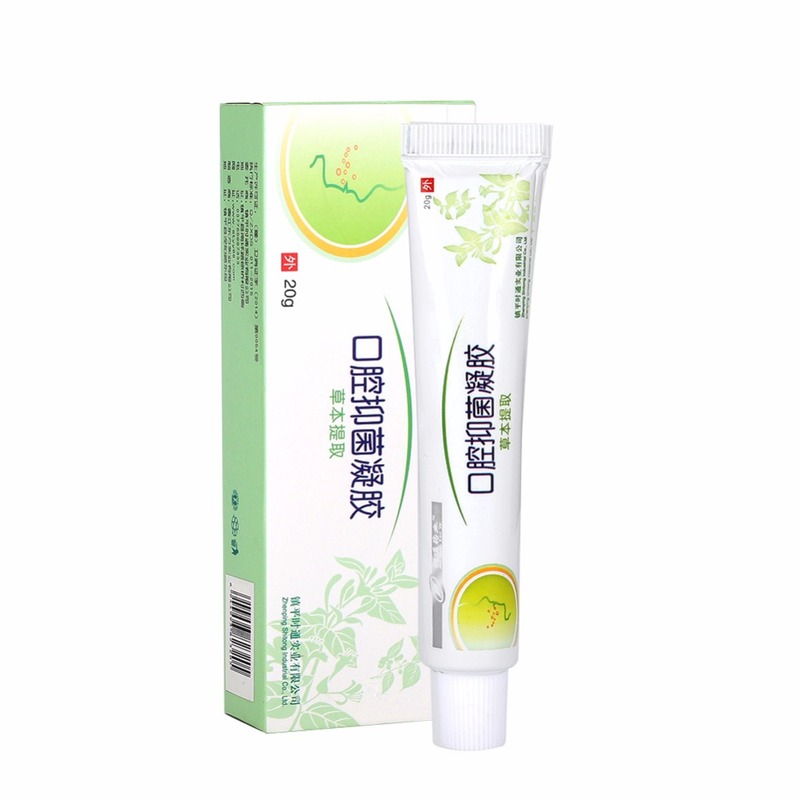 Long-lasting effects, keep your mouth feel fresh and having a good day. Advanced technology, fast to absorb, making better effects.